The mother of Tamir Rice, the 12-year-old boy who was shot dead by a Cleveland police officer last year, is calling for the Cuyahoga County Prosecutor's Office to step aside and is asking for a special prosecutor to take control of the criminal investigation into her son's death. "Since the senseless shooting of my son Tamir Rice I have had many sleepless nights and days," Samaria Rice said at a news conference in Cleveland today, appearing alongside her attorneys. "Almost a year now, no justice, no peace." Rice said she is "disappointed" in how the prosecutor is handling the case. Rice added that she is praying the public continues to ask questions and seek the truth. 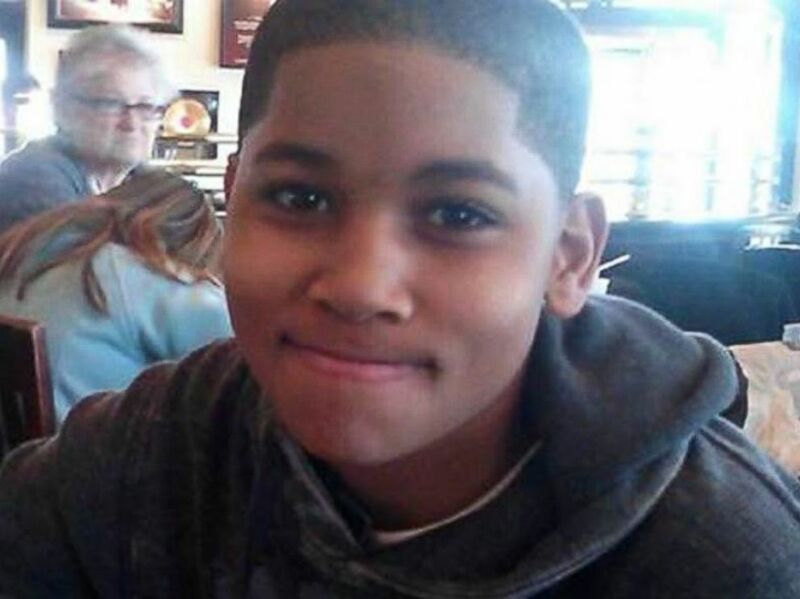 Tamir was holding a toy gun when officer Timothy Loehmann shot him at a Cleveland, Ohio, playground in November 2014. Reports from two outside experts who examined the use of deadly force in the case were released last weekend by the Cuyahoga County Prosecutor’s Office and concluded that the shooting was "reasonable." The reports from the experts, who had been retained by Cleveland prosecutors, come before a grand jury will decide whether criminal charges are warranted in Tamir's death. Tamir's cousin Latonya Goldsby said today she believes the reports' findings were "biased and partial." Goldsby accused Cuyahoga County Prosecutor Timothy McGinty of "obstructing justice" and said McGinty should be replaced with a special prosecutor, or there should be a federal investigation. An attorney for Rice said today that the flaws in the reports were too numerous to recite at the news conference and that they are instead set out in a detailed letter to the prosecutor. Tamir Rice is seen in this undated photo provided by his family. Rice considers the reports "pro-police and fundamentally flawed," according to a Thursday release from her attorney. Rice and her attorney claim the reports "ignored crucial facts and were skewed in favor of exonerating the officers." "The policy of the County Prosecutor’s Office is to make the evidence in fatal use of force cases by police public before a decision on charging is made. Whatever the outcome of a case, the public should not be surprised by -- or unaware of the basis for -- any decision. By ending the culture of secrecy that formerly surrounded these cases and taking all deaths at the hands of police to the Grand Jury for review, we expect to improve community confidence and to significantly reduce the number of unnecessary deaths. There will be fewer mistakes and fewer deaths. The entire case, including all the facts that we and the various investigative teams can find, will be given to the Grand Jury which must act according to the law as laid down by the Supreme Court. No stone will be left unturned in our search for truth and justice. Some parties may be displeased with evidence or reports as they are disclosed, but by making them public before conclusion, there is an opportunity to correct errors. We have confidence in the integrity of the Grand Jury and believe that justice can be achieved." Get real-time updates as this story unfolds. To start, just "star" this story in ABC News' phone app. Download ABC News for iPhone here or ABC News for Android here.